Anna Cortada's idea for her collection comes from the observation of the world and the search for inspiration in parallel realities which may help us to combine the world of dreams and the social, political and economical chaos that surrounds us. Starting from this idea, she tried to capture in her designs an alternative to connect the globalized, intercultural world that tends to devalue creativity to unify and/or standardize ideas, thoughts and ways of dressing Misunderstanding globalization, results in a loss of identity rich in nuances. It is the most functional and commercial pathway to achieve self-expression. She liked the idea of looking into a surreal universe's way of expressing and to demonstrate that other ways are possible to have a more dreamlike vision of reality. The starting point were the paintings, later she created monsters that give name to the collection: SOCIAL MONSTERS. They are the monsters of society, they leave the paintings due to the rejection to injustice. 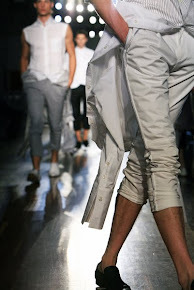 It is a collection that tries to break standard rhythms, colors and shapes that suggest a trend of primitive expressions to propose new ways of interpreting fashion. The physical creation of the Social Fashion Monsters and the transformation from paintings to outfits happens the following way: the paintings become outfits because they are disassembled and the painted fabric acquires the shape and the patrons of the monsters. 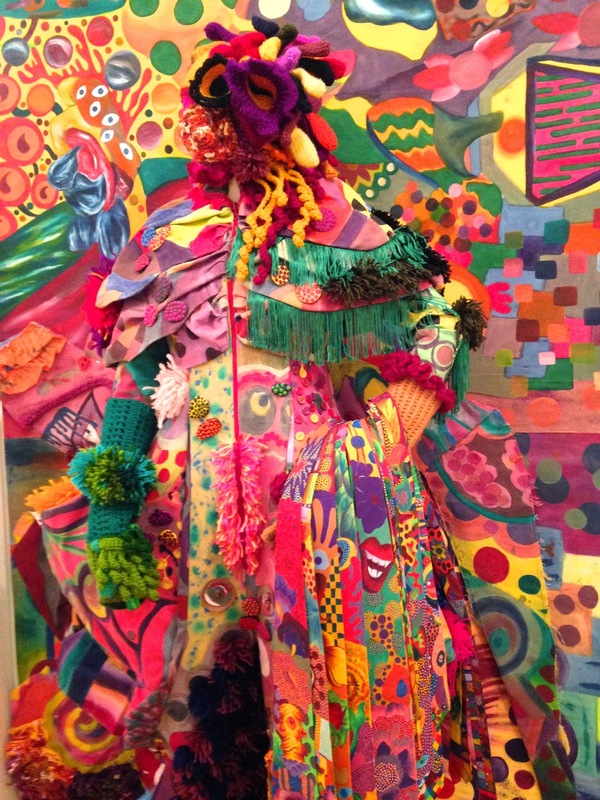 The painted fabric of the paintings therefore becomes alive and transforms into monsters. 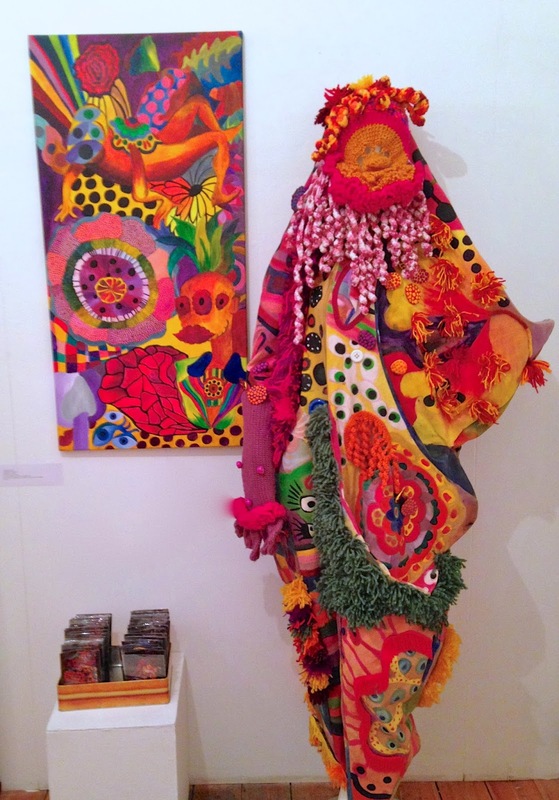 So don't miss Anna Cortada's collection during Other Worlds at the the Brick Lane Gallery. And have a look at her blog by clicking here.